What does the Future hold for Tracfone in 2016? 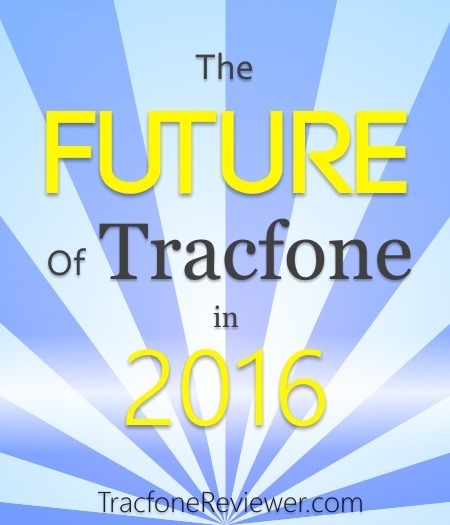 2016 is upon us and its time to share our thoughts on what to expect from Tracfone in the new year. We will cover what direction we think Tracfone is moving, any changes to the products and services they offer, and some things we hope they will do in the next 12 months. While TracfoneReviewer is not associated or affiliated with Tracfone in any way, we carefully follow and try to stay up to date on everything going on with Tracfone so that we can share it with our readers and followers on the blog. Below we will give some general opinions and thoughts on what to expect from Tracfone in 2016, but remember that these are just educated guesses based on our experiences. Please share your thoughts and expectations in the comments at the end of this post. Before we jump into 2016, lets review what Tracfone did in 2015, as it has been a year full with new phones, progression and expansion in service from Tracfone, and various other changes. While plenty has happened with Tracfone in 2015 we want to highlight three particular changes that were greeted with excitement and enthusiasm from consumers. The Three changes were airtime cards for smartphones, expansion of the BYOP program, and new smartphones available from Tracfone. When smartphones came to Tracfone in 2013, the airtime added to these phones was changed to split into three categories - Talk, Text and Data. What this meant was that if you ran out of one category, like text messages, you would have to buy more airtime for all three, even if you only need more texts! A lot of Tracfone users were annoyed that they had an abundance of one or two categories, but were always running low on another category. Thus, when Tracfone released Data-Only Airtime cards and eventually Text-Only cards, many users were very happy to see them. You can take a look at our post on the Tracfone Data Cards and Text Cards to learn more about them, and if they are a good deal. Tracfone also released smartphone-only airtime cards that give you specific amounts of Talk time, Texts and Data and do no triple. We Analyzed the New Tracfone Smartphone Airtime Cards and offered our opinion on what ones are the best deal. 4G LTE coverage with Tracfone BYOP was probably the most exciting advance Tracfone made in 2015. They opened the door to a host of much more advanced smartphones that could be used with their service and many users took advantage of this and upgraded. Now you can bring an iPhone 6 or a Samsung Galaxy S6 to use with either GSM or CDMA cell service through Tracfone's prepaid service. For all of 2014 Tracfone only offered 3G CDMA smartphones for sale and many consumers who didn't have good CDMA coverage were frustrate that they couldn't upgrade to a smartphone. But in 2015 Tracfone released the LG Sunset, which was the second Android phone from Tracfone that uses GSM coverage, and the first with 4G LTE service. We hope the Sunset will be the first of many more advanced 4G phones coming to Tracfone. Now that we've looked back at the year, time to see what's in store with Tracfone for 2016! We believe Tracfone will move in two primary directions for 2016; release more low-end smartphones and continue to promote the BYOP program. Already we have seen significant advertising and promotions for bringing your own phone to Tracfone. They have done a lot to improve the process, including webpages dedicated to checking your phone's compatibility and activating the device. Tracfone has also released a number of smartphone-only airtime cards, that can be used with either BYOP devices or Tracfone smartphones. It would appear that Tracfone has found a successful niche for themselves in providing pay-as-you-go service to consumers who don't want contracts or don't need unlimited service. The major carriers like Verizon and AT&T don't really compete with Tracfone because they target very different segments of the cell phone market (heavy users vs light users). Tracfone has the opportunity to release their own smartphones and we hope they will continue to advance and catch up with the kind of phones you can use on the BYOP program. However, Tracfone will likely only offer devices in the $100-200 range that are a few years old. If consumers want a high-end phone to use with Tracfone, they will have to bring their own. We do expect Tracfone to continue offering non-smartphones, but don't expect they will be offering any new or updated devices. They released very few, if any, non-android phones in 2015, and that Trend will probably continue. You can still buy plenty of 'dumb' phones from Tracfone, so don't worry about that disappearing anytime soon, it is a strong part of their profitability. One of the weaknesses that Tracfone faces and needs to fix in 2016 is their somewhat complicated airtime structure. For new users, it can be confusing to know what which airtime is best for them to purchase, and exactly how it will be added to their phone. Right now, Tracfone offers both regular airtime cards that triple when added to a smartphone, and also smartphone-only cards that don't triple. There are airtime plans that give you minutes and 30 days of service every month, and there are auto-renewal options that automatically add a new 90 day airtime card to your phone every 3 months. We will have to wait and see if any changes come, but it is a small barrier for new customers. Finally, we would recommend our readers continue in the direction that best suits them. So if you prefer the features and speed that a higher-end smartphone can give, then buy your own phone on Amazon, eBay or other retailers and bring it to use with Tracfone. You will have a great device and only be paying a small amount each month for service. If you prefer a more simple device and less hassle in activating it, then go with a Tracfone branded phone. These won't be disappearing anytime soon. We also suggest looking into some of the value plans Tracfone offers, or at buying the 1 Year/ 400 Minute Airtime card because these are some of the better deals offered by Tracfone and will help save you money if you're currently buying a 60 Minute Card every 3 months or so. Tracfone looks like they are growing and pushing their BYOP program and we think they will continue in 2016 as the leaders of pay-as-you-go service. We hope this post was help and gives you some perspective and ideas on where Tracfone may be heading in the coming months. Please leave a comment below with any questions or thoughts from this post. If you are still looking for gift ideas, or have a gift card to spend, take a look at our Top 10 List of Tracfone Gift Ideas which includes many fun ideas for Tracfone users. Thanks for vising and for another great year here at TracfoneReviewer. Happy New Year! New Smartphone Airtime Cards from Tracfone - Are They A Good Deal? UPDATE - Tracfone has made changes to their smartphone cards, and we've shared all the details, including much of the comparison info from below, in our new post, New Prices/Changes to Tracfone Smartphone Airtime Cards. Go take a look for the latest information. Tracfone recently added several new options for buying airtime for your smartphone. These new cards are only for smartphone users on Tracfone, and add specific amounts of talk time, texts and data that does not triple when you top off your phone. Are these new cards a good deal? Are you better off buying the older cards? We are going to answer those questions right here for you! For those who might not know, Tracfone is a prepaid wireless phone company that provides both cell phones, and service to use the phones on. Over the last few years Tracfone has offered many different Android powered smartphones to use with their service, as well as making it possible to bring your own smartphone device to use with their service (called the BYOP program). All smartphones on Tracfone automatically split airtime cards into three separate categories - talk time, texts and data. All smartphones also automatically triple airtime you add to the phone, which is a nice bonus. With these new airtime cards that can only be used with smartphones, the airtime is not tripled when you add it to your smartphone, and the cards come with specific amounts for talk time, texts and data. For example, the new 2000 Minute Card comes with 2000 minutes talk time, 3000 text messages, and 1 GB data. Each of the new cards also comes with 90 service days. So are these new airtime cards a good deal for Tracfone users? Let's take a look. We are going to go through a couple of tables to analyze the different cards and try to determine which cards are a better value. We will do our best to explain each of the tables as we go through them. Please be sure to leave a comment if you don't understand how we came to our conclusions, or if you have a better way of explaining this. Let's start with the first table that shows the two categories of airtime cards, how many minutes you get for each card, and what the price per minute is for each card. We also include text and data costs. Also note that we tripled each of the 'old' airtime cards, because they are automatically tripled when adding them to a smartphone. Tracfone Smartphone Cards vs Regular Airtime Cards - Which One is Better? As you can see from the table above, with a 450 minute card you will get 1350 minutes for talking, 1350 texts, and 1350 MB of data (1.35 GB). Notice the 3000 minute smartphone only card. With this card you get 3000 minutes for talking, 3000 texts, but only 1500 MB data (1.5 GB). Then take a look at the 2000 minute smartphone card, you get 2000 minutes for talking but 3000 texts! And also 1000 MB data (1 GB). So, as you can see, the new smartphone cards don't give even amounts of talk/text/data, but rather give a varying amount of each. The general trend for these smartphone only cards is that they give more talk time, a lot more texts, but less data than the regular airtime cards. This is generally very good, because many smartphone users go though their texts the fastest. Now let's take a look at the second half of the table above, the part about price per minute, text and MB (data). The general trend we can see is that the larger the airtime card, the better deal you get (you get more for your money when you buy more). What we really want to take a look at is the cost (or price) per airtime amount. The smartphone only cards are cheaper for both talk time and texts, but a little more expensive for the data. The 'average' cost shows that the smartphone only cards are a little cheaper, mostly because they give you a lot more texts compared to the regular airtime cards. Let's take a look at this next table which explains how many minutes you get per dollar. The table above shows how many minutes you get for each dollar spent on an airtime card. So for the 450 Minute Card, you get just under 20 minutes talk time, 20 texts, and 20 MB for one dollar. You can see that this is the best deal for the 'old' cards. Now look at the 2000 minute smartphone only card. For one dollar you get almost 27 talking minutes, 40 texts, and about 13 MB data. So, compared to the 450 Minute card, you get a better deal on talk time, twice as many texts, and a slightly worse deal on data. How do the regular airtime cards compare to the new smartphone airtime cards? The smartphone only cards are a better deal for talking, and MUCH better deal on texts, and a slightly worse deal on data. So, if you use your smartphone primarily for texting, these new smartphone cards are a great value for you. You should especially consider the 2000 and 1000 minute cards, because both of these give you 40 texts per dollar, the best deal of any of the cards. But if you use more data than anything else, you may want to stick with the old airtime cards, or just buy data only cards. You could also consider the 400 Minute/1 Year card, which we did not include in the table, but is a similar value to the 450 Minute Card. For many, buying the 500 Minute Smartphone only card is a better value than the regular 200 Minute Airtime card because you get almost twice as many texts, with slightly less talk and data time. Take a moment to consider your own needs, and which airtime card you usually buy, and see if there is a better option on the tables above. We hope this analysis has been helpful, and understandable. Let us know in the comments what you thought, and which airtime card you will be choosing. We have several other posts relating to buying airtime with Tracfone. Take a look at How to Buy Only Texts, How Data Works on Tracfone, and How Do Minutes work on Tracfone Smartphones? Join our growing community on Facebook where we post news, updates and other information. 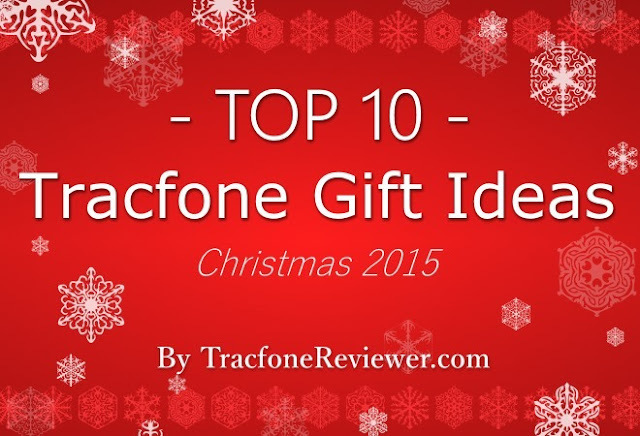 And see our TOP 10 Gift Ideas for Tracfone Users! A collection of phones, accessories and other gift ideas for Tracfone users. We hope this gift guide helps with your holiday shopping and TracfoneReviewer wants to wish everyone a very Merry Christmas! As the holidays quickly draw near, it can sometimes be a challenge to find gifts for every person on your list. We all can use some ideas and inspiration to help find a gift for that person that seems to have everything. We're here to help! With our annual Christmas Gift Guide that collects and shares some of the latest phones and accessories to use with Tracfone, along with plenty of extra suggestions. For those who might not know, Tracfone is a prepaid wireless cell phone company that offers both airtime, and cell phones, at very budget friendly prices. Consumers can also bring certain devices to use with Tracfone, including most top of the line smartphones available today. Christmas is a great time to surprise someone with a new phone, or upgrade them to a smartphone. But there are plenty of other ideas beyond phones in our list, in fact, we've created a list of 10 different Christmas gift ideas, so let's take a look! Tracfone has a good number of options when choosing a cell phone, from non-android flip phones, to 5.5" touchscreen smartphones. We will share some different ideas for each of the options. Tracfone's can make a great first phone for many kids/teenagers because it is relatively inexpensive, and helps them to keep track of their use of the phone, so they don't run out of minutes too quickly. Tracfone devices are also handy for many other uses as well, including an emergency or backup phone. If you, or the person your shopping for, isn't very familiar with Tracfone, take a look at our Beginners Guide to Tracfone to get started. These phones are each almost exactly the same except that the Sunset (and Destiny) use GSM 4G LTE, and the LG Power has CDMA 3G service. These devices come with Android 5.0, and a 4.5" touchscreen. You should choose which of these three LG phone to get based on whether your area has better CDMA or GSM coverage. If you're unfamiliar with those terms, take a look at our GSM vs CDMA post and how to choose which is right for you. The Sunset(link to our review) and Power(link to our review) are both widely available from online retailers like Amazon and eBay and usually cost around $100. We've only found the LG Destiny listed on the Tracfone website. If you're looking for screen size, the Quartz is your answer, with a huge 5.5" touchscreen that is the largest phone currently available from Tracfone. The Quartz runs on 3G CDMA network and uses Android 4.3. Take a look at our review of the ZTE Quartz to learn more about this phone. You can find the Quartz on many online retail websites and also on the Tracfone site for about $100-130. While the Ultimate 2 has been available for over a year, it is still a good smartphone option and is now available at some nice prices, especially bundled with minutes. When the Ultimate 2 came out it was very popular, and for good reason. It had a combination of features and specs, like the 4.5" touchscreen, Android 4.4 and 5 GB Internal Memory, that made for an enjoyable smartphone experience. Visit our review of the Ultimate 2 to see more info, and lots of comments from users. If you would like to view all the smartphone options from Tracfone, visit our Tracfone Android List. If you're not interested in a smartphone, there are a few other options to choose from. This simple yet tried and true device doesn't do anything fancy, but it does work great as a phone, especially if you're looking for a backup or in case of emergencies. The LG 441G is the slightly newer version of the LG 440G, which you can view our review of to learn more. You can find the LG 441G in many stores, online and on the Tracfone website. The 306G is a popular non-android touchscreen device. The 306G uses GSM service, while the 305C uses CDMA, so you can choose which one will have the best service in your area. These phones aren't the most fancy, but they are some of the most advanced from Tracfone that don't use Android OS. You can learn more about this phone on our Review of the LG 306G. Find the LG 306G and 305C in stores, online and on the Tracfone website. Now we will share some phone ideas that can be used with the BYOP program from Tracfone. Tracfone BYOP, where you bring your own smartphone to use with Tracfone, has continued to grow in popularity and accessibility for Tracfone customers. These days there are many different phones that can be used on the program, which is both GSM and CDMA compatible. You can find a full list of phones, and resources for how to activate your phone with Tracfone on our Tracfone BYOP page. Below we will share some of the most popular and best value smartphones. iPhone's have been a popular choice for smartphone users for many years because of their high quality, performance, operating system and plenty of other reasons. If you can afford it, the iPhone 6 and slightly newer, 6s, are some of the best and most advanced phones that can also be used with Tracfone BYOP. This iPhone 6s 64GB unlocked phone from Amazon can be used on GSM 4G LTE networks, so it will work with Tracfone BYOP. An iPhone 6, iPhone 5 and iPhone 5c are also good options if you're looking to save a little money by going with an older model. If you know someone who already has an iPhone, perhaps they might be interested in some iPhone accessories to add to the functionality of their device. The Motorola Moto G is a phone that provides great value for the money and many Tracfone users have chosen to use it for this reason. It is widely available and retails for just $179 for the latest version. The Moto G is now in its 3rd generation, with each new generation bringing improvements and advances from the last, so be sure to pay attention to which generation you are buying, although they will all work with Tracfone BYOP. Here is 3rd Generation Moto G with 8GB memory that uses GSM 4G LTE coverage for just $179 on Amazon. If you interested in more information, check out our post on Using the Moto G with Tracfone BYOP. The LG G series (2, 3 and 4) smartphones are also popular on Tracfone BYOP for their great value. The G2 and G3 were released a few years ago, but still have great performance and can be found at prices under $200 on eBay. Like the LG G series, the Samsung Galaxy S series of smartphones are high performing Android devices with many different options available online. If you're looking for good value for the money, the Samsung Galaxy S3 can be found for about $200. There are versions available for both CDMA and GSM, so choose the option that best suits your needs. A handful of other ideas include the Nexus 5 and 6, Sony Xperia devices and Moto X. We have found eBay to be a great place to look for a smartphone if you're willing to search through and find exactly what you want. Be sure to check the IMEI code (usually on the battery of the phone) on the Tracfone website to ensure it will be compatible, then pick up a sim kit from Tracfone, or you can also find it on Amazon. Everyone who uses Tracfone knows how nice it is to get some extra airtime to boost their minutes and service days. An airtime card can be a nice way to help friends or family stay in contact and there are many options to choose from, ranging in cost from $20 to $100. Tracfone Prepaid Airtime cards can be purchased and easily given as a gift, and used at any time. You can find Tracfone airtime cards in many stores like WalMart, Target, Dollar General, and most convenience stores as well as online. Learn more about How Minutes Work on Android Tracfone Devices. Smartphones open the door to a wide variety of applications and games that can be downloaded and installed on your smartphone device. Some of these apps charge a (small) fee for users to purchase the app. This generally allows the apps creators to offer a higher quality product that may even be ad free which is always nice. Some games on Android phones also cost a few dollars to purchase, such as (list top games that cost money). These games can offer hours of fun, but require an initial purchase. Check out our List of the Best Android Apps for more ideas on apps. Google Play Store, which is where you can download apps and games for Android, has gift cards available to purchase that allows consumers to load their gift card amount, and spend it on whatever they choose. It is a handy way to buy that game or app someones been wanting, without requiring you to get on their device and enter your credit card details. You can find Google Play gift cards on Amazon in various amounts. Plenty of retail stores, both online and brick and mortar, offer gift cards that can be used to buy accessories, airtime ,or even phones. -Amazon - Buy gift cards for almost any value, and have them delivered anywhere! For those who are on the go often, or forget to charge their phone, number 5 on our Christmas Gift Guide is the solution! Know someone who seems to always be forgetting about charging their phone? Or perhaps they like to live out of the house 24/7? An external battery pack can really come in handy when you're phone dies away from a charger. You can simply plug the battery pack into your phone, and charge it through that! There are many options for battery packs, and most are about the same size as a phone, but can hold several phones's worth of charge. View some of the options currently available on Amazon, we particularly like the Anker batteries because they have good reliability and performance, plus lots of positive reviews. External battery packs can also be found in many retail stores. Many of us spend a fair amount of time in the car and sometimes it is convenient to be able to mount your phone, or charge it, while on the go. Use a car charger to give your phone some juice while on the go. There are plenty of car chargers out there, just make sure you have the correct connection for the phone you want to charge. View popular car chargers on Amazon. If you use your phone as a GPS, adding a mount to hold it is a must. It helps make it easy to follow it, and make changes if necessary. A car mount for your phone can also be helpful for lots of other tasks, such as watching movies (for the passengers) or just a secure place to keep the device. Many states have made it illegal to chat on your phone while driving, so do the safe thing and use a simple Bluetooth headset! Easy to set up, and lots of options available. Take a look at some of the options on Amazon. One of the deficiencies of Tracfone smartphones is that they do not usually have a lot of internal memory for storing apps and other data. A 16 or 32 GB Micro SD card is a quick and easy solution for loading more pictures, music, videos or almost anything else, onto a device. Almost all smartphones accept Micro SD cards up to 32 GB, so these might make a great stocking-stuffer gift. You can find several options on Amazon and eBay, or visit any electronics store. If you're not sure what to get, the SanDisk Ultra 32 GB card is a popular choice. Every phone, and especially smartphones, should really have some kind of case or cover for it to protect it from everyday use, and the possibility of dropping it. Cases come in a wide range of options, from something that just protects the outside from scratches, to fully waterproof and shockproof. You can also choose form many styles and colors, to find one that really suits that person you are shopping for. Some of the best places to find phone cases and covers are online retail stores like Amazon and eBay that offer plenty of different sellers. To find a case or cover for a specific phone, simple visit Amazon or eBay and type into the search bar the name of the phone you have, followed by the kind of case or cover you're looking for. There are usually a plethora of options available. For more on finding cases or covers for your phone, visit our list of smartphone covers an cases. Headphones are great for minimizing noise from a device, while speakers are ready to maximize. Be sure you know which way you want to adjust the noise before shopping for these items! Bluetooth speakers are very popular and convenient because they allows users to quickly sync whatever they are listening to on their smartphone, with the speaker, thus amplifying the sound for everyone to enjoy. Most speakers are very portable and some come with rechargeable batteries to allow you to bring it anywhere. Shop for speakers at any electronics store, or also online at Amazon. There are about as many different options for headphones as their are fish in the sea, but we have a couple of top picks to give you some ideas. The Panasonic In-Ear headphones are surprisingly comfortable and snug, and the sound is fantastic. They are also the most popular ear buds on Amazon, and we recommend them. Plus they are unbeatable at their current price. If you want over the ear comfort and style, Sennheiser makes a simple, but high quality headphone set that is very reasonably priced as well. Visit any electronics store for plenty of other options as well. Last but not least (OK, maybe it is least...), is the selfie stick. These slightly hated tools let the users extend the hand-holding range of their phone to maximize their selfie photos. There are plenty of varieties of selfie sticks on Amazon and eBay . That's it! We hope you've enjoyed TracfoneReviewer's list of 10 Tracfone Gift Ideas! Drop a comment below with any additional ideas or questions. Don't miss out on following us on Facebook where more than 1500 get a variety of updates and news related to Tracfone. Visit our Tracfone Promo Codes page to find a code for free bonus minutes when adding airtime to your phone! 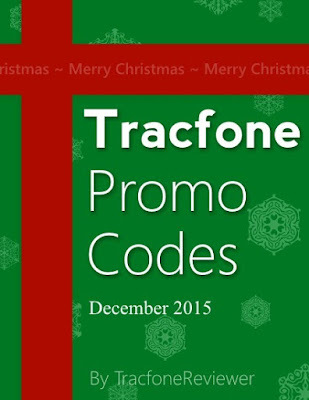 Below we share the newest promotional codes for Tracfone for you to use during the month of December. TracfoneReviewer strives to be the best source for reliable and updated Tracfone codes and we hope you enjoy the free minutes. For those who might be unfamiliar with Tracfone, they are a low cost wireless cell phone company that offers prepaid phones and airtime. Consumers can either buy one of the phones Tracfone offers, or bring their own smartphone to use with Tracfone. Airtime for Tracfone comes in various amounts ranging from a 60 minute card, up to a 450 minute card. Tracfone also offers many more airtime options including automatic monthly refills. Learn more about the basics of Tracfone by checking out our Beginners Guide to Tracfone. The promo codes from Tracfone can be used every time you add an airtime card to your phone. However, promo codes will not work for smartphones or devices you bring to Tracfone through the BYOP program. To use a promo code simply enter the PIN for your airtime card on the Tracfone website, on your phone, or by calling Tracfone. Following that there should be a place to enter a five digit promo code, which you can select from the codes below. These codes are for a certain airtime amount, but can also be used on cards of greater value as well. For example, a code for a 120 minute card will also work for the 200 and 450 minute cards. A promo code for the 400 Minute/1 Year card cannot be used with any other card amount. We have a wider variety of codes on our main Tracfone Promo Code page if you're interested in more options. Now let's get to these free airtime codes! These codes should all be valid for the entire month of December. let us know in the comments which code you used. That's it for now, we hope you find a code that gets you some free minutes! Don't forget to drop a comment below with how your code worked for you. Join over 1500 other Tracfone customers on our Facebook page where we post the latest news and updates. Also be sure to also visit some of the other pages on our blog, like our Cell Phone Reviews page, to learn more about the options with Tracfone. We recently shared our pick for the Worst Tracfone Cell Phone. You may want to take a look to avoid one of those phones! Coming soon - our Tracfone Gift Guide for Christmas 2015!